I frequently hear people mentioning the "musical" element of the American Pavilion in EPCOT. If you've seen the show, you'll know what I'm talking about. A small colonial fife and drum corp performs frequently in front of the pavilion. 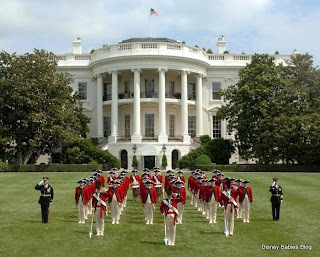 The Old Guard Fife and Drum Corp., of the 3rd US Infantry Regiment "The Old Guard" (commonly known among us military types - FDC) performs frequently at the White House and around the National Capitol Region. The majority of these soldiers are musician first soldiers, college trained professional musicians. Auditioning to win their positions and considered one of the top 4 elite musical elements in the U.S. Army. I've seen them perform numerous times, as along with my band (for those of you that don't know, I'm a professional band geek as well), we perform at the same events. The FDC represents the musicians of the Continental Army, with hats and wigs and all. The play the same standards that the group at EPCOT plays, but too many more to name. So, the old time tradition isn't just continued in Colonial Williamsburg - it's also continued in the Army. Now, you're in the know! Check out their website or search for them on youtube to see them in action! We missed the fife and drum at Epcot on our last visit but they are one of my favorites. 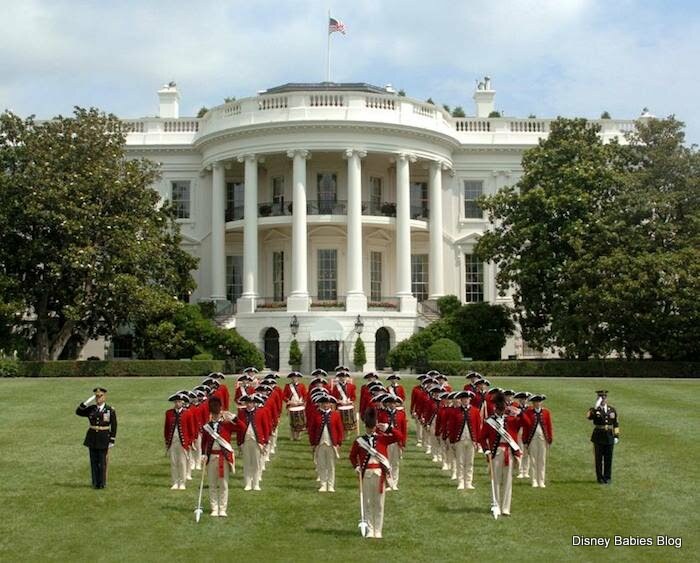 To be able to see the Old Guard Fife and Drum Corp in person would be amazing.